Raw Beet & Chocolate Ice Cream: Just Beet It! I love when good ideas don't work out as planned, but they still take you to a really great place. There are so many things in life that we plan and plan for and they just don't work out. We need to remember to wait and look outside ourselves and what we originally wanted and look for the silver lining, which many times is better than what we planned for! Okay, now that I got that out of the way ... back to food so you can see where I am going with that! I have had a few beets sitting around and staring me down and I wanted to do something different. I wanted to make a dessert. 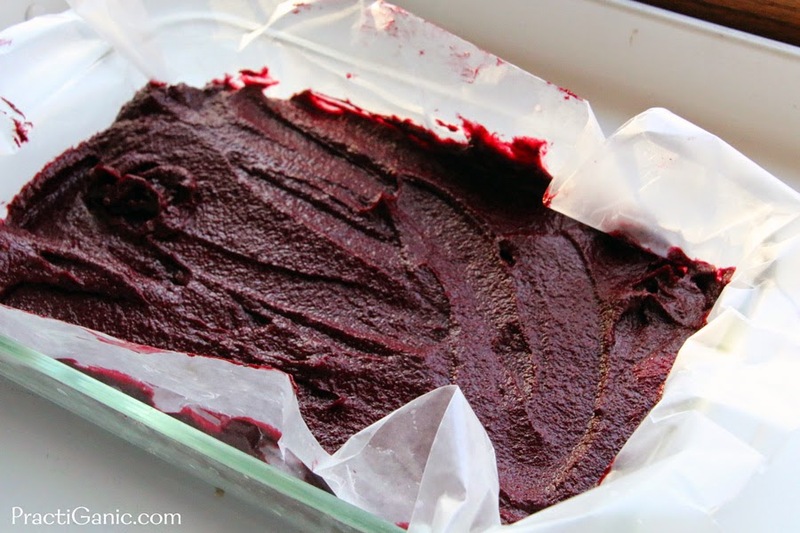 I really wanted to make a beet fudge. With trusty ol' Google, I tried to find a recipe and I couldn't find one. There were plenty of fudgy beet cupcakes and brownies, but no fudge. I just didn't feel like baking though! So, I decided to just go for it and see what would happen. I got the 'batter' to taste pretty darn good. Now, to see if it would actually set up in the refrigerator! Waiting, waiting, waiting ... it never did! It was a really good frosting though! So, I tried the freezer. Waiting, waiting, waiting ... it obviously froze and tasted good, but if it sat out for 10 minutes it was mushy again. Not exactly the fudge I wanted. So, it sat in my freezer for two days. I didn't know what to do with it. It was so tasty, I could use it as a frosting and make cupcakes, but, I still didn't want to bake. 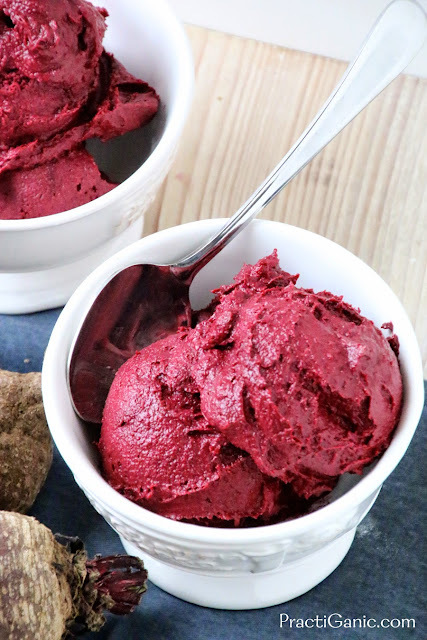 Then, when I stopped thinking about it, an idea finally popped into my head, "ICE CREAM!" So, I set it out on the counter for a couple minutes, threw it back in my blender and voila ... raw ice cream! The kids downed it for a snack, which I didn't mind them having this ice cream for a snack! I have since served it on two occasions and both times it went over great. 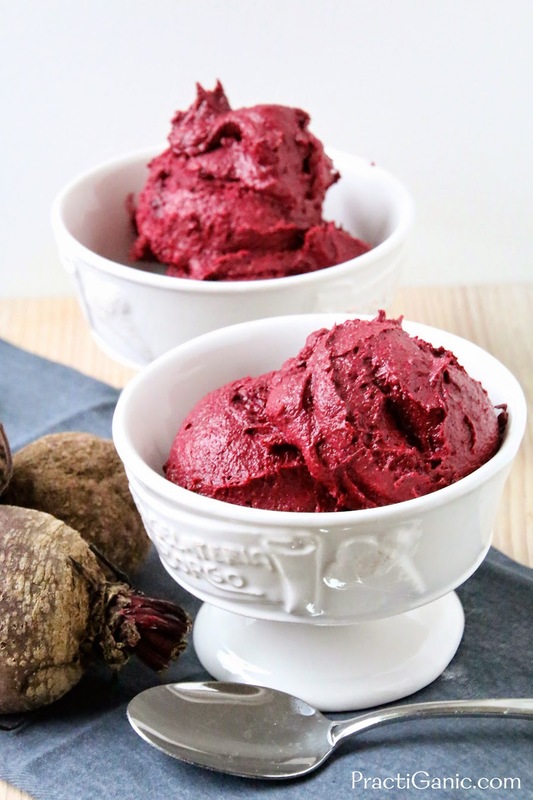 The color is absolutely stunning too which is a great conversation piece, like you needed more to talk about since you're having beet ice cream!. It's so easy to make too. 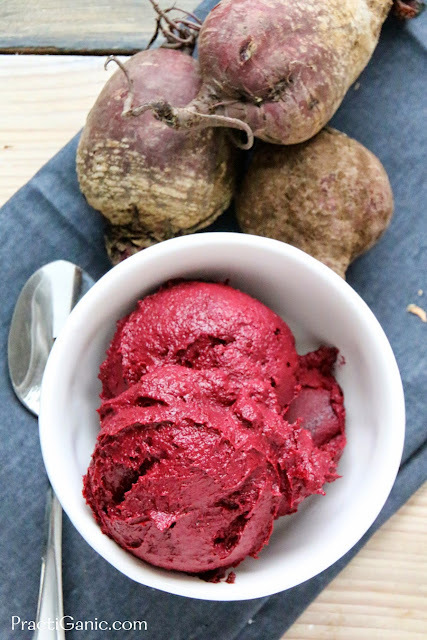 You just ... beet it! Sorry, I couldn't resist, I'm an MJ fan! 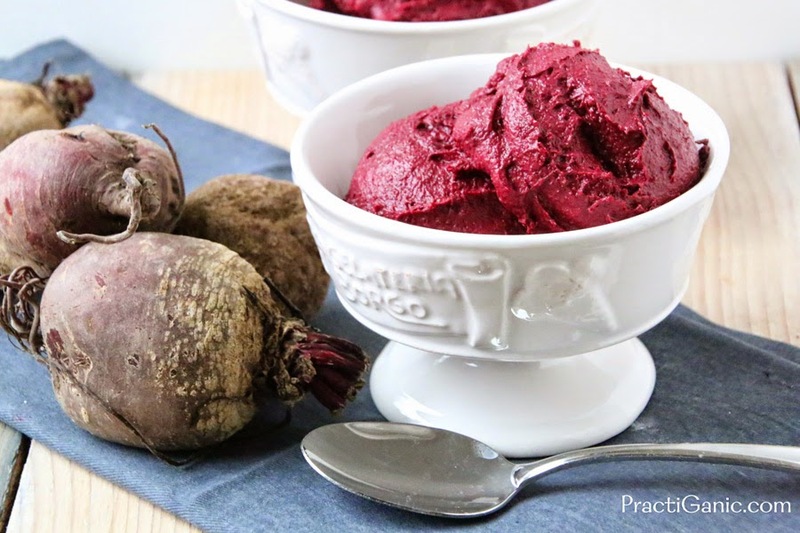 Put all ingredients into your VitaMix or high-powered blender and JUST BEET IT! Okay, seriously, blend it all until it is thoroughly mixed and smooth. Spread in a 8x8 pan lined with parchment paper and freeze. When ready to eat, take out of the freezer for 10 minutes so it thaws just enough that you can take out the amount the you want. I had to cut mine with a knife. Either whip it back in your blender or form with an ice cream scoop for a pretty presentation! Best served while listening to Michael Jackson! Seriously, I wouldn't lie about this!